Very easy for you to fill in every daily make up necessities. Specifications: Colour: Transparent bottles. Quantity: 7 pieces. 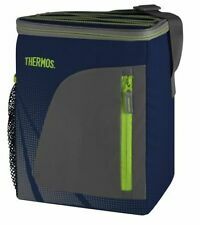 Safe material, BPA free, durable and reusable. 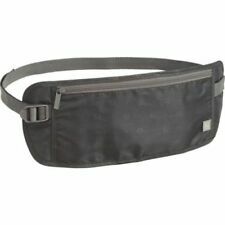 Material: Plastic, BPA free. 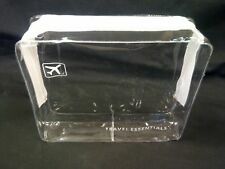 Clear Travel Bottle / Toiletries Zip Bag. Bottles suitable for all toiletries, shampoo, suntan lotion, nail varnish remover and shower gels etc. 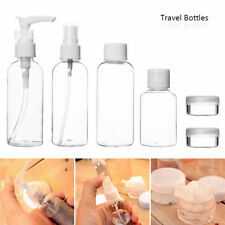 1 Set Travel Bottles(5 pcs). -Enough to be carried around in your handbag, save space. - Due to the different display and different light, the picture may not reflect the actual color of the item. 100ml bottle with pump head ---- spray out a drop of. 100ml bottle with sprayer ---- spray out is misty. A pipette and a funnel are included in the kit. 1 spatula, 1 dropper, 1 small funnel. -1x funnel. 3 x 15 ml Cream Jars. 3 x 100 ml screw top bottles with flip top lids. 1 x 100 ml Pump Action Bottle. 7 Piece Travel Bottle Set. 1 x Small funnel. Bottles are suitable for all toiletries, shampoo, suntan lotion, shower gels and all liquid products. 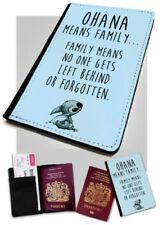 This travel set is fully compliant to BAA & EU travel restrictions. 1 x 100 ml Pump dispenser bottle. 3 x 100 ml screw top bottles with flip top lids. 7 Piece Travel Bottle Set. 1 x 100 ml Lotion Pump Bottle. Bottles suitable for all toiletries, shampoo, suntan lotion, nail varnish remover and shower gels etc. 10 x 100 ml clear plastic bottles with Free clear carry bag. Top quality tough plastic bottles with leak proof flip top lids. Set Includes : 2x Spray Bottles / 1x Standard Bottle. Airport Security Approved. Spray Bottle Height: 120mm. Standard Bottle Height: 100mm. KW1-KW17, PA20-PA38, PA41-PA49, PA60-PA78, PH4-PH44, PH49-PH50, PO (Isle Of Wight) TR (Isles Of Scilly) ZE (Channel Isles). Includes 4 Pots. Airport Security Approved - Safe For Flight! Made From Clear Plastic. Bottles suitable for all toiletries, shampoo, suntan lotion, nail varnish remover and shower gels etc. -Enough to be carried around in your handbag, save space. 1 Set Travel Bottles(5 pcs). - Due to the different display and different light, the picture may not reflect the actual color of the item. 1x funnel. -A funnel is included in the kit, allowing you to transfer your liquids, lotions, gels and creams into the bottles and jars with ease. Besides, they are lovely and good-looking. 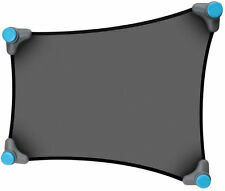 -Made of high-quality and non-toxic material, can be reusable. These Travel Bottles comply with international airport liquid restrictions. Specification: 100ml. -Enough to be carried around in your handbag, save space. 1 Set(5 pcs) Travel Bottles. Detailed Size: L12.3cm(4.84") W3.8cm(1.49"). 100ML PET Bottle with black ribbed screw cap -. Approved Travel Sized Bottles . High Quality P.E.T Bottles. Fully Transparent. Food Grade. We aim to process all orders ready for dispatch within 24 - 48 hours of the order date. Very easy for you to fill in every daily make up necessities. Specifications: Colour: Transparent bottles. Quantity: 7 pieces. Safe material, BPA free, durable and reusable. THE LARGEST SELECTION ON EBAY! Easy to fit using simple wrap around design with Velcro fastener. Seat Belt Cover. Soft, comfortable padded seat belt cover. Universal fit for almost any seat belt and any vehicle. Bright colourful design encourages children to wear and keep themselves safe. Very easy for you to fill in every daily make up necessities. Specifications: Colour: Transparent bottles. Quantity: 8 pieces. Safe material, BPA free, durable and reusable. Bottles are suitable for all toiletries, shampoo, suntan lotion, shower gels and all liquid products. This travel set is fully compliant to BAA & EU travel restrictions. Clear Travel Bottle / Toiletries Zip Bags x 3. Affordability, practicality and reliability are qualities built into every Sure-Travel product. Screw cap lid. Eye Care & Sight. Full First Aid Kits & Bags. 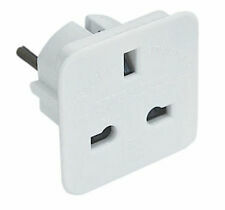 RRP £ 0.00.